Terrorists fire rocket at Eshkol region, just one hour after an attack on the Hof Ashkelon region. The calm of Shabbat was interrupted in southern Israel on Friday evening, as terrorists from Hamas-controlled Gaza fired a Kassam rocket at the region. 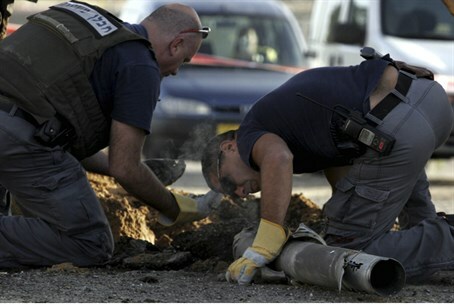 The rocket, fired shortly after 9:00 p.m. local time, exploded in an open area in the Eshkol Regional Council. There were no physical injuries or damages. Only an hour earlier, a Gaza rocket exploded in an open area in the Hof Ashkelon Region. There were no physical injuries or damages in this attack as well. In both cases, the “Red Alert” siren was heard in surrounding communities before the explosion, forcing local residents into shelters.